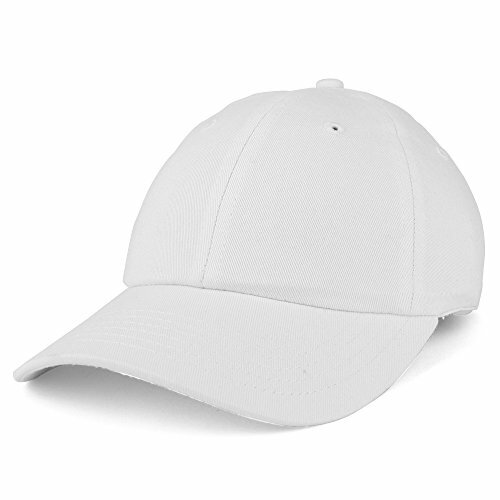 Our Trendy Apparel Shop Youth Small Fit Bio Washed Unstructured Cotton Baseball Cap is a perfect outdoor cap for your little boys and girls. This youth size ball cap usually fits for a child aged from 6 to 14 years old. Made of 100% Cotton. Low profile. Unstructured crown. 6 ventilation eyelets. Stiff and pre-curved bill. Fitted with an inner hatband. Finished with an adjustable metal buckle strap closure. One size fits most kids (6 - 14 years). If you have any questions about this product by Trendy Apparel Shop, contact us by completing and submitting the form below. If you are looking for a specif part number, please include it with your message.